For years, marketers have heard about the potential of “big data” in helping to unlock the deepest, darkest secrets of consumer behavior and drive superior results. But getting access to this data has proven difficult, requiring organizations to set up costly and resource-sapping data warehousing projects. Don't wait. 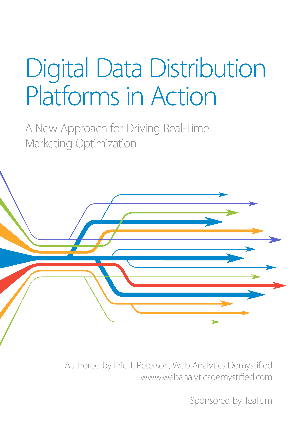 Download “Digital Data Distribution in Action: A New Approach for Driving Real-Time Marketing Optimization” today and get author Eric Peterson’s exclusive predictions for this game-changing technology.